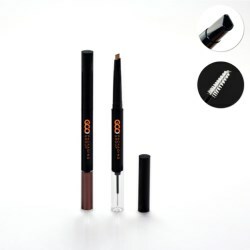 2-in-1 airtight make-up pen can be paired with eyeshadow powder, cosmetic gel bottle, or a bristle paddle brush. There two options of new airtight stick packaging offered by GCC, single (GCNPF058) and dual (GCNPF058-2). Both options are diameter Ø21.2mm to hold product with chemical compatible inner cup. The size is appropriate for many cosmetic products, including: foundation, illuminator, bronzer and blush sticks. 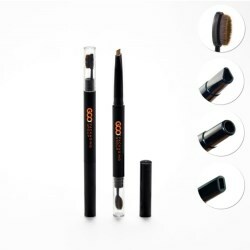 The applicator is made of PE inside and nylon outside that forms a fluffy cushion tip. It is an ideal packaging solution for sensitive skin with ultra-fine user experience. 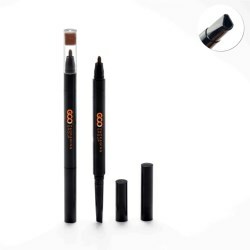 The packaging is ease of use and compatible with fluid foundation or blush. The flocking tip is replaceable and washable for personal hygiene. The entire packaging can be used as a cosmetic tool itself with the NBR sponge attached as a foundation makeup applicator. The packaging is compatible with formula of high viscosity with the aperture in the middle to control proper dosage. The NBR sponge is removable for cleansing, or replaceable for a new one. The silicone spatula is slanted shaped that allows user to apply facial products effortlessly. Either foundation cream or lotion with high viscosity could be dispensed evenly. It has six apertures for product dispensing, and can be removed for hygienic cleaning to prevent bacteria contamination. Luxurious, thick-wall packaging design built in a transparent solid structure to reveal vivid color from inside out. GCC Packaging has wide range of collection in different shapes, designs and sizes specifically for lip gloss. Very recently, the firm updates its facility with advanced injection blow molding machinery (IBM process), and adds a new heavy bottom PETG packaging for lipglosses. GCC Packaging presents a new collection of square framed compacts which conveys a visual sense of sleek and cosmopolitan. GCJRCS067-6 and GCJRCS067-9 in standard size are for eye shadow, smaller size GCMS196 for blush, highlighter or corrector. 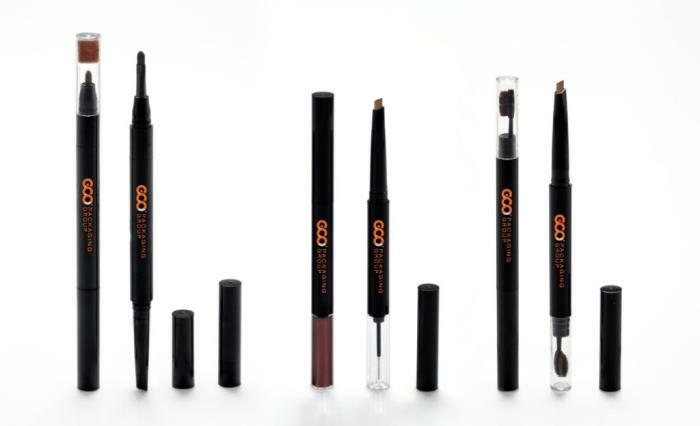 GCC Packaging introduces a series of PETG vials with thick-walled feature for cosmetic and lip gloss products. The thick-walled packaging collection includes 5 different sizes to satisfy diversified demands. 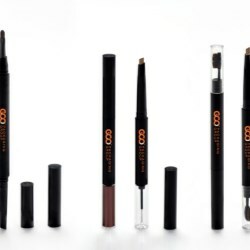 GCC Packaging makes thick-walled lip gloss packaging in triangular shape that is unique and luxurious comparing to other products available for cosmetics. Made of SAN, the triangular base is extraordinary thick that transforms the entire component crystal and premium. Cylindrical Ø30 tube with a flip-top cap design is ideal for containing both solid and liquid formulations in one packaging. The packaging can hold different types of products: gel, fluid cream, powder, and beyond. The material of tube can be either LDPE or HDPE according to a product requirement to make sure different solutions are available for delicate formulas. GCC Packaging introduces its new ultra-slim lipstick packaging that meets up-most premium quality standards required by cosmetic companies.